A quick post of what I wore today to send of my father and mother in law to the airport earlier today for a very long work trip. I think I'll write more on this later, I'm still quite emotional from the farewell. Anyways, I took the day off and decided for a more casual and comfortable look. I wasn't really thinking about taking an ootd today, but as I was leaving KLIA, I noticed that the sun was shining beautifully with its sunbeams and the lighting was juuuust right, and I decided, okay, it's just calling out to me to just take a few shots just before we left KLIA. And those few shots turned out really well (in my opinion, anyway). 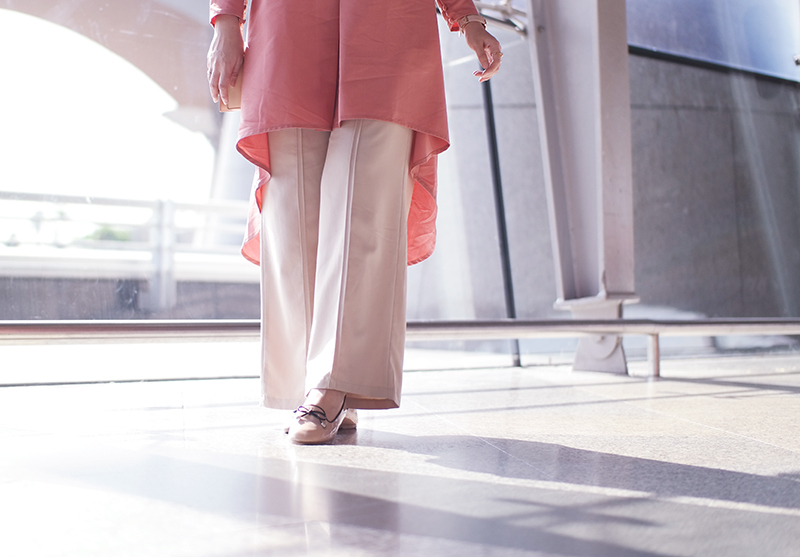 I decided to pair Shea Rasol's Dusty Coral Pleated Tunic Top with aere's Levant khaki pants. Wore it together with a matching scarf from Sookascarf.